Sleep is a significant part of everyone’s lives, and yet a good night’s sleep often feels so far out of reach. According to a CDC study, adults generally need between 7 and 8 hours a night to qualify for a full night’s sleep, but 30% of USA adults reported getting significantly less than that. An estimated 50-70 million people in the USA suffer from some kind of sleep disorder. A poor night’s sleep can negatively impact your work, school, or home life, and can make you feel like life is slipping away from you. A lot of myths about sleep have arisen in order to help people find some solace at night. However, many of these myths are self-defeating or just largely unhelpful. Here are 5 sleep myths that you might have heard before. You’ve probably heard that dairy products, spicy foods, or desserts eaten right before bed can cause disturbing or bizarre dreams. Scientists, however, are skeptical of this belief. Some argue that the foods most associated with poor dreams are also foods with the highest rates of sensitivity and therefore cause more digestive problems. Others contend that it’s nothing more than cultural superstition and affirmation bias. However, there is a grain of truth among all the half-truths—heavier foods such as red meat take more energy to digest and therefore can make you feel warmer. If you struggle with feeling too hot at night, eating red meat before bed may add to that frustration. This myth follows common sense—if you’re suffering from too little sleep or you feel exhausted from a long week at work, then getting 10 hours of sleep might recharge you in a way that 8 hours wouldn’t. Except that it won’t. Experts believe that disrupting your sleep cycle, and thus your body’s internal clock, by sleeping too much will leave you just as groggy as sleeping too little. The best way to feel rested when you wake up is to keep to a regular, healthy sleep schedule and stick to it. It is true that sleeping medication is tempting to reach for when you’re having trouble falling asleep. However, while sleeping medication may provide an easy short-term solution, they have the potential to cause a laundry list of side effects including memory problems, constipation, and headaches. Remember that your sleeping difficulties might be caused by any number of issues including underlying health issues such as insomnia, anxiety, poor sleep habits before bed, or even your mattress itself. If your mattress is too old or saggy, it could be too uncomfortable for a good night’s rest. If you have a dust mire infestation it may be causing an allergic reaction that makes you feel more tired. Before you decide to medicate, see if there may be other solutions first. It’s a common misconception that watching something distracting and soothing on any kind of screen—TV, laptop, or cell phone–will help ease your restlessness and help you fall asleep faster. However, the problem is that your body isn’t used to artificial light sources—when your brain processes a powerful light source like your television or computer screen, it thinks it’s still daytime. Your brain will release hormones responsible for keeping you awake and suppress melatonin—the body’s sleep hormone–so you’ll actually be less likely to get a good night’s rest or even fall asleep properly. Instead, experts suggest that reading a book (not a Kindle) can actually help you fall asleep much faster and without any of the hormone issues a backlit screen can cause. We tend to associate yawning with sleepiness or boredom, an idea reinforced by countless movies, television shows, and common logic. So when you yawn, you may think you’re sleepy and need to nap, which can actually throw off your sleep cycle. In fact, scientists have no idea why we yawn at all. Experts offer conflicting theories of what yawning does biologically and socially, but there is no consensus on the matter. Instead of relying on yawns to let you know if you’re tired, look for other signs: difficulty concentrating, feeling more emotional, and even craving more junk food. There’s a lot of advice out there about what will and won’t help you get the best night’s sleep, but an easy start is to ensure your mattress is doing its job. Your mattress should be firm enough to support you, soft enough to keep you comfortable, and crafted with quality in mind. 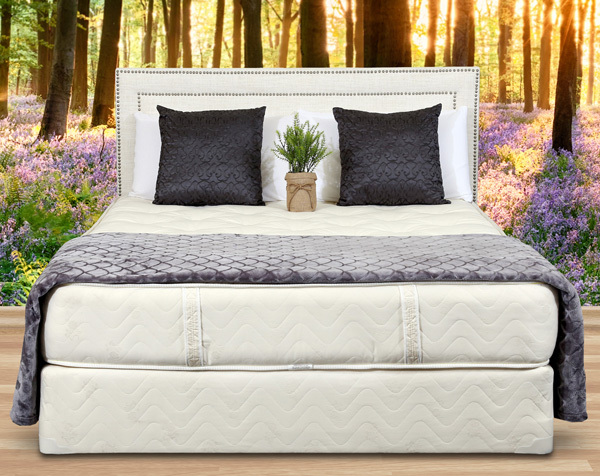 At Gardner Mattress, we make our mattresses custom by hand and with the finest organic materials to give you the most relaxing night possible. Call us or visit our showrooms today to start investing in your rest. Next article	50 Facts About Mattresses You Probably Didn’t Know!